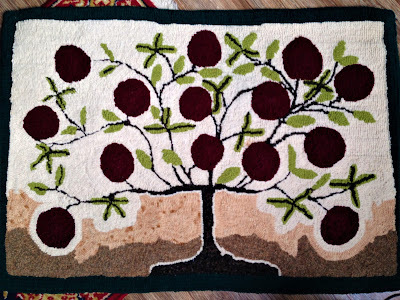 This wool hooked rug was started by Dirk Wygmans, but finished by Peg Wygmans. Both did a beautiful job on the start and completion of this rug. I'm the lucky daughter who received this as one of the most wonderful Christmas gifts ever received.